Dr. Krys Strand brings her passion for science through interdisciplinary learning and hands-on research. 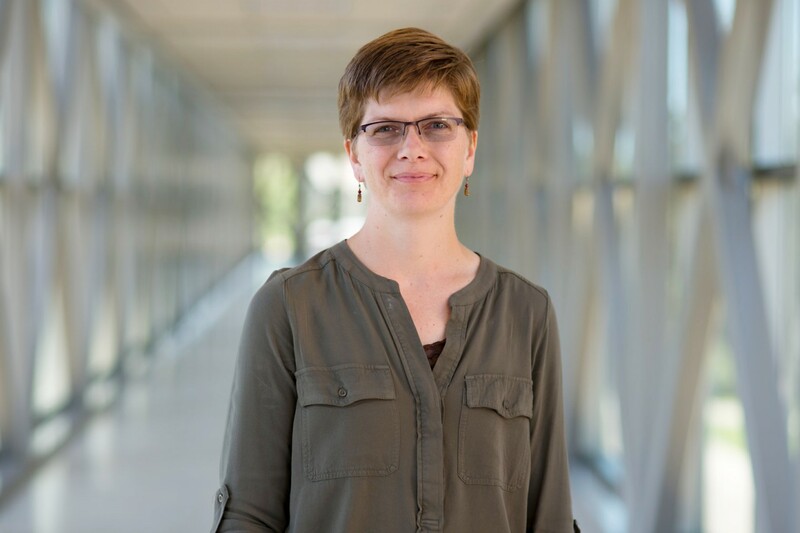 Through her many roles at Concordia – program director of neuroscience, associate professor of biology, and director of national fellowships and undergraduate research, scholarship, and creative activity – Dr. Krys Strand shares her love for learning with students. How long have you been teaching at Concordia and what do you love about your job? My faculty appointment started in fall 2006. There are a number of aspects of my job that I love, including the fact that being a faculty member includes working with students in courses we teach, research outside the classroom, advising, special projects and student organizations, and college governance. Some of my favorite days include a mix of classroom teaching, talking with students about their future plans, making progress on research goals, planning the Celebration of Student Scholarship (COSS) with my fantastic team, and spending a bit of time cuddling with our critter friends. How does Concordia encourage you to be passionate about your work? Enthusiastic students and colleagues allow me to live out my own passion for the work we do together at Concordia. Positive energy toward a common goal can result in new solutions to old problems, new discoveries, and the development of new ideas and goals. 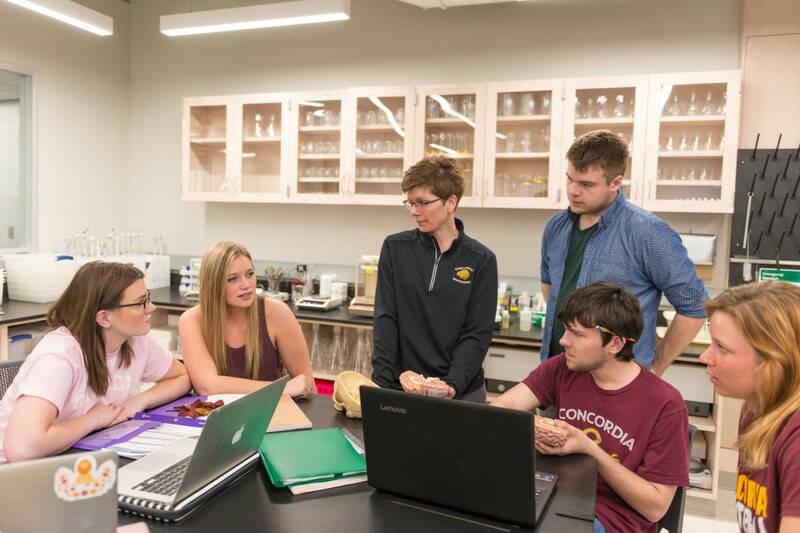 Concordia also encourages integrative learning, collaboration, and interdisciplinary study, which aligns very much with my diverse interests and need to combine creativity, art, and science on a regular basis. What’s your favorite part about teaching neuroscience and biology? I’m not sure I can identify one favorite aspect about teaching neuroscience and biology other than what’s not to love? Learning about living systems, how organisms detect and respond to stimuli in their environment, and how the nervous system adapts to natural or induced changes is fascinating. I have always been interested in a variety of disciplines – art, literature, writing, physics, mathematics, science. Neuroscience is an interdisciplinary field, which I think contributes to its appeal for me and many others. Plus, learning about one’s own brain is inherently intriguing to many people. What sets the sciences apart at Concordia? In general, I think Concordia has a strong science program because students learn science by doing science. We have a strong emphasis on authentic research experiences and integrative learning. This approach makes students well prepared for work, graduate school, and professional programs after they graduate. In my opinion, it also makes learning science a great deal of FUN, too. As a student at Concordia, I found out what an advantage laboratories (and my courses in the core curriculum) had given me when I went to grad school. 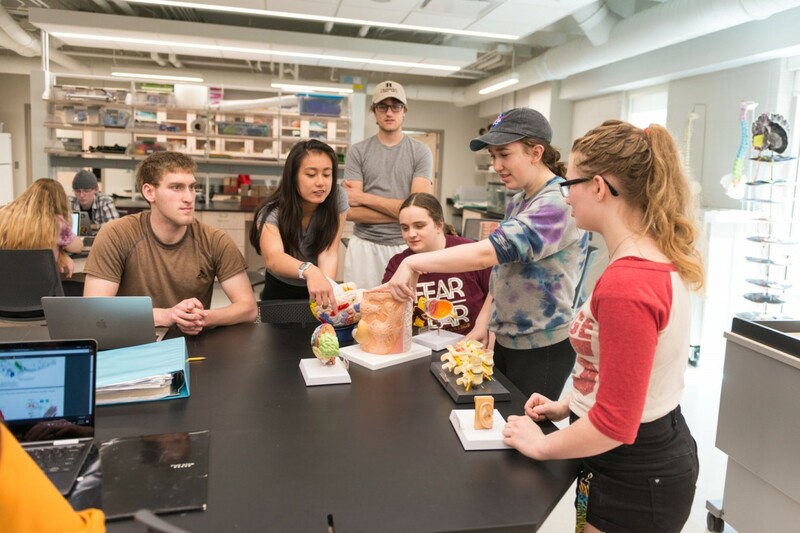 I have enjoyed being part of developing our approach through integrated lecture-lab courses, increased research in the classroom, and community-engaged learning. I like to make things and do a variety of sports. In the summer, I spend some time in my garden, tinker with an old car, bike, blade, run, and build stuff out of wood. In the winter, I like to cross-country ski when I can, run outside now and then, knit, bake, and curl twice a week at the F-M Curling Club.